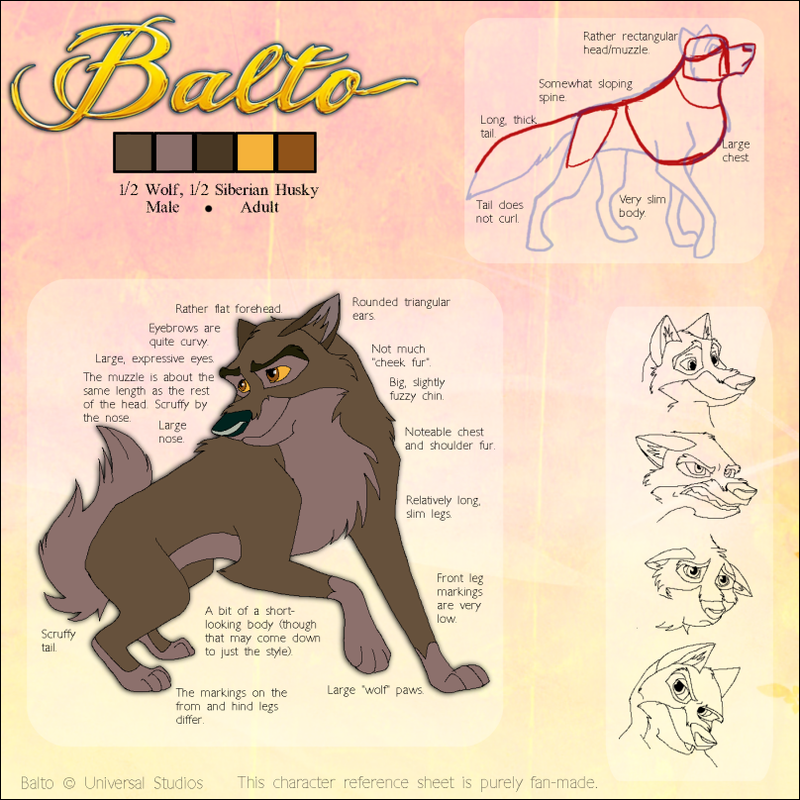 Balto is the main character of the series. Being half wolf, he is the laughing stock of Nome. Courageous and generous, however, he managed to overcome the prejudices of and defeat his rival Steele to realize his dreams and save children with diphtheria. By NattiKat8, this is her character reference sheet! Steele is a Siberian Husky with a notable experience as a sled dog. Champion of the city, and a horrible liar, he hates Balto at the highest point because he is a half-wolf and also by competition to Jenna - who is indifferent to his many advances. Wearing cheating and dominance to capture the attention of other dogs and so increase and retain his title and his popularity in the city, he will do everything in its power to make life hell for Balto, quite to abandon all his responsibilities related to the diphtheria epidemic. Muk is Luk's brother. Fearful but with a big heart, he will not hesitate to help his friends Boris and Balto if needed. Luk is the elder brother of Muk. Being silent, he is unable to speak and therefore needs his brother to translate his intentions. Big, sensitive and with soft heart, he will not hesitate to assist Boris and Balto if needed. Star is the most eccentric dog from Steele's trio. Having problems with self-confidence, he is often ashamed to express his ideas in threats of pawing from Kaltag. Nevertheless, he will be the first to recognize the potential of Balto. Nikki is a member of Steele's henchmen trio. He seems to have blood Chow Chow (blue tongue several times in the film). He would happily make fun of Balto until he lost the hitch is a blizard. 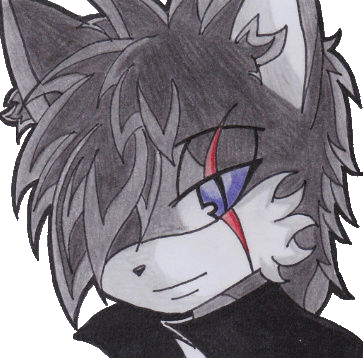 Kaltag is a member of Steele's henchmen trio. He is particularly good at describing situations or people with as much synonyms as possible. Taking pleasure in mocking Star, he often gives him blows on the head. Kaltag eventually learn to respect his friend and will be inclined to encourage him. Rosy is first introduced to the audience as a grandmother looking for Balto's statue in New York Central Park with her granddaughter. In the film she's a young girl who has an interest in dog sledding. Her parents commissioned Mr. Johansson to build her a sled and was surprised with it during a sled dog race. She then hitched up Jenna, a purebred husky, and went for a ride. Within a few days, along with many other kids, Rosy had become ill and was taken to see Dr. Welch. Jenna watched Rosy being examined from a window, trying to understand what's wrong with her. Balto shows up to invite her out, but he sees that Jenna is upset. When Jenna explains that Rosy is ill, Balto takes Jenna underneath the hospital (to listen in) where they find out that Rosy has Diphtheria. Having no antitoxin to give Rosy, she was placed into the hospital where she would rest until a new batch of antitoxin was brought in. When Balto did bring the medicine, he was allowed into the hospital where Rosy told Balto "I would be lost without you". Jenna is a gorgeous female Siberian Husky. She is very popular in Nome, mainly for her beauty. She was constantly courted by the champion of the city - Steele, however, she always rejcted his advances. Her friends, Dixie and Sylvie have difficulty understanding her. Moreover, against all expectations, she befriends Balto and develops more feelings towards him as and she discovers his values ​​and generosity. The White Wolf appears in the first film when Balto falls down the ravine. The wolf then howls towards Balto, then noticing that he seems to ignore it, the wolf turns away and disappears in the storm, leaving its footprints in the snow. Balto eventually accepts its origins, noting the accuracy of their pawprints. He performs a mighty howl and is soon be accompanied by the White Wolf. It is confirmed by the Director of the movie that the White Wolf is Balto's mother - Aniu, but we prefer to keep two separate pages on the site to suit everyone's interests. Sylvie is one of Jenna's friends. Perhaps the least talkative of the trio, however, she tries spying on Jenna, revealing that she has spent a night in the boiler room with Balto. Morse is a small english bulldog, spending his days in his basket inside the telegraph office. He came to learn the Morse code so he is, with barking, passing the latest news to other dogs in town. Doc, who appears to be a st bernard, doesn't appear a whole lot in the movie, tells the latest news in the boiler room to the other dogs. He is seen as a cameo in the third movie, fishing with his owner. Mr. Johansson is a carpenter who creates (and probably also repairs) many wooden items for the citizens of Nome. One of those items was a sled that Rosie's parents commissioned (they've also had doll houses made for her in the past) as a gift. He also made several coffins for children who passed away when diphtheria struck the small town. Rosy's father is a tall man with a mustache, beard, and wears a fedora. He supposedly owns a hardware store (he's seen holding a broom in front of a store in Balto the hero), though there's no proof that says otherwise. He's also leery of Balto, as he fears that he may bite Rosy because he's part wolf. 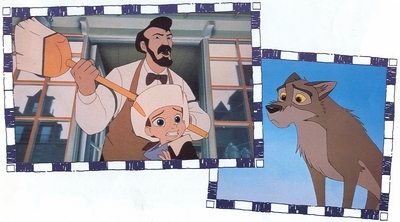 However, his viewpoint changes after Balto brings in the medicine; allowing Balto into the hospital to visit Rosy. This woman is the mother of Rosy. She appears as a happy woman, very attached to his family. At the beginning of the film, she is very happy to have offered a nice sled her daughter. The Doctor is a very important man in Nome. He soon tuns out of serum when the diptheria epidemy hits. The vaccine against this disease is lacking and it is impossible to help the kids. However, he can treat patients when Balto finally returns with serum. This man is the master of Steele, Nikki, Kaltag, Star, and other unnamed dogs from the team. He won several races with his lead dog. When the city of Nome is quarantined because of Diphtheria, he organizes a dog race to see who is the fastest of them to get the serum delivered as fast as possible. He went with his team to Nenana, but during the return journey, his dog Steele loses his way and dropped the whole team down a hill and the musher loses consciousness. Fortunately for him, Balto tracked him down and brought him back safely along with dogs and serum. The telegraph operator ias a man whose job is to pass messages in Morse code. He was he who transmit the messages to tell who won the dog race early in the film, but also the one who send telegraphs asking for anti-diphtheria serum delivery to Nome. He is the owner of Morse. A monstorous Black Grizzly attack Balto and his friends while they were looking for Steele and his team. First he tries to attack Boris, Muk and Luk, but Balto defends his friends as best he can by attacking the monster. However, the great bear very quickly takes over and pins Balto to the ground. When everything seemed over, Jenna arrives to defend her beloved. The bear shakes Jenna off and folows Balto to the frozen lake. I LOVE BALTO MOVIES! My #1 favourite character is ALEU (from Balto 2)! Of course my #2 favourite char. is BALTO! My other fav. characters are Boris; Muk and Luk and Muru. Is it just me or all of the descriptions in french? I've gotta say my first favorite character is Balto ( of course! ). Balto got more trust and confidence in his son, Kodi when Jenna sang to him you don't have to be a hero. The day that they had to do a race between dogs vs. machine Balto won that race and Kodi said"Thanks dad for saving our jobs." and Kodi nuzzles his dad which of course is Balto. When Balto finds out that the machine got low battery and crashed on land with Boris inside of it in the race he goes to rescue it.Balto 1, 2, and 3 are all great movies,but my favorite characters in all of the movies are Balto, Jenna, Aleu, and Kodi. I wish they would make a Balto 4 about Balto, Jenna, Aleu, and Kodi. do you think that balto did a good job i do but this is the true story that there was more than 1 sleds so they passed the mediciene to each sled but on the last sled which was took to the doctor the lead dog was balto. You can see a stature of him in New York central park as from the begining of the movie. Just like star the husky at the end he says you should build a stature of him, and that is what they did. I like balto and I have been watching it lately I have also got the 2nd and the 3rd and of corse the 1st. My faveouite carahter was balto and jenna.